Kyna Rosen, B.A., C.F.T. is a Personal/Certified Group Trainer through A.F.A.A. and A.C.E. 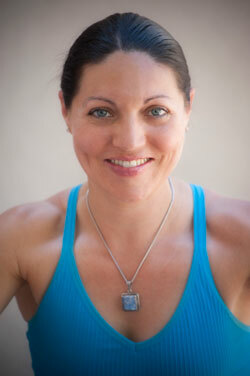 Kyna is the lead Kangoo Jumps Instructor in Arizona. She is also a Certified Yoga Instructor through the Yoga Alliance, teaches Yamuna Body Rolling, Mat Pilates Certified and a Nutrition Consultant, and Community Health Care Advocate. She also has experience as a Corporate Health Coach in organizations totaling over 3500 employees combined. Kyna empowers and motivates individuals on many health and wellness topics while remaining current with the latest, cutting-edge information. She is excited to help you reach your goals. Kyna has run in numerous races including over 5 marathons since 1997. She is a Type-1 diabetic who has been committed to health and wellness for over 15 years. In her spare time, she enjoys reading, yoga, physical outdoor activities, and spending time with her friends.